A principal's job is astonishingly complex, and its competing demands can be overwhelming, especially in the first few years. 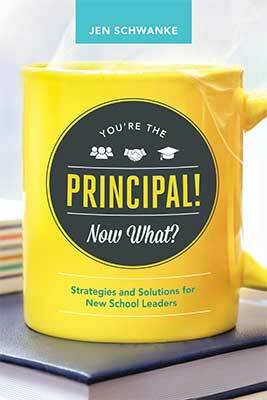 In this book, Jen Schwanke, a principal herself, provides a mentor's guidance to steer new principals through the period of adjustment and set the foundation for a long and rewarding career. The topics you wish your graduate program had covered are covered here—directly, practically, and without the jargon. JEN SCHWANKE began her career as a language arts educator and is currently a principal for the Dublin City School District in Dublin, Ohio. A graduate instructor in educational leadership, she has written frequently for literacy and educational leadership publications and blogs about her experiences in learning and leading.